An incredible autumn bridal bouquet by Floral Fields, on displayed on a metallic tray at an InterContinental Century City wedding planned by Kimery Sherwood of KimeryEvents. 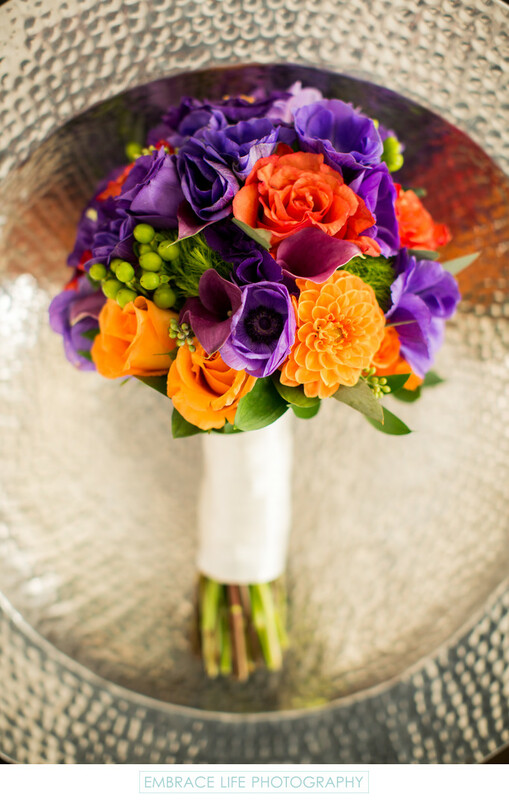 The purple, yellow and orange colors of the bride's flowers look beautiful against the textured silver backdrop. Location: 2151 Avenue Of The Stars, Los Angeles, California 90067.